Should You Retire in Thailand? So why Retire In Thailand? Let's discover the pros And cons of settling here. Thailand offers many unique retirement locations and advantages compared to other countries in particular in the west. Before we talk about the reasons why Thailand is such a wonderful Paradise to retire in, let's get the not so wonderful things addressed. First, the visa requirements for Thailand are confusing but need to be understood in order to spend part or the rest of your Life in this exotic and tropical Paradise. Secondly, and that may not be such a problem for some but for others it may be...you will always be a farang -foreigner- in Thailand. You always will be called farang where ever you go and if this bothers you - Thailand may not be such a Paradise for you to retire in. It is not meant to insult you but it's deeply engrained in the way Thai people refer to white people. Thirdly - as a foreigner you can not own land in Thailand. There are ways so that you can live on the land but you can not own it. Condominiums are the only real estate you can actually own in your own name. Want to buy condos in Thailand? 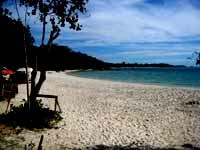 Check out the multiple properties and options you have for buying Pattaya condos. You also get to enjoy eating healthy foods and fruits. There is affordable health and dental care. In fact areas like Pattaya are famous for being THE place to go in Asia for dental work. Enjoy a pleasant nightlife whether that's a round of beers with friends to something more...exotic. The King of Thailand is inspirational and the Thai people love the royal family. His Majesty King Bhumibol Adulyadej developed the philosophy of a Sufficiency Economy. A philosophy leading his people to a balanced way of life and to be more self-sufficient. When you retire in Thailand you'll be able to do the same if you wish. Self sufficiency may become a very important factor in the days ahead. Western societies have lost their ability to sustain themselves and depend on Governments and Supermarkets to feed and clothe them. Thailand is known for its superb health and dental care not just in Asia anymore but increasingly in the western world. Thai Physicians, Doctors, medical assistance and nurses are well trained and a visit to the dentist removes all doubt that Thai dentists are some of the best in the world, and compared to western countries very inexpensive. Some people retire in Thailand because of its inexpensive and excellent health care. Massage parlors are just about anywhere in Thailand especially in areas where expats live. The cost for a 1-2 hour Thai massage is usually around 100-200 Baht. Health and cosmetic surgery tourism is a booming industry in Thailand. Medications cost on average about 50% of what you would pay in western countries. Emergency response is quick in most populated areas. Thai people are very healthy people. That is definitely not only because of the positive attitude Thai people have most of the time. It's also because they have a very balanced and healthy diet. 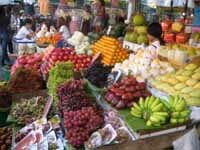 Food and fruit is available just about anywhere in Thailand. Thai people seem to live to eat and not eat to live. It is amazing how much and how often Thai people can eat. Seafood fresh from the sea is available just about anywhere. If you can eat like Thai people do, there is no way that you can be overweight and if you are you slowly but surely will lose weight. In Thailand you will never starve to death. There is absolutely no shortage of entertainment and nightlife venues in Thailand. Entertainment and nightlife is not just for tourists, expats, or people who retire in Thailand. Thai people love to party and socialize. and much more! There are also gogo bars in touristic places like Pattaya. International restaurants with or without live music are just about anywhere. Entertainment and nightlife may only have one limitation and that is your available budget. Even though Thailand can be very inexpensive it is amazing how the money just can seem to leave your pocket without a trace. 95% of the Thais are Buddhists but they allow everyone their own religious believe and freedom. Thai people accept gay people and their own sexual preference. Thailand has a large gay and transsexual community and there is no prejudice against gays. Thai people welcome tourists and other nationalities without hesitation. Whatever your appearance, sexual or religious orientation, Thais will let you be. Accommodation can be found for every budget depending on how much you can afford and where you like to live when you retire in Thailand. for $300 a month close to the beach. You can employ a housekeeper for under $ 200 a month. Thai food is delicious and very inexpensive. You can easily find Delicious Thai food for less than $ 2.00 a dish. If you like to travel Thailand has a central location in Asia and you can travel to neighboring countries within a short time and for fairly little money. Flights from Bangkok are competitive and it's easy to fly to Singapore, China, Indonesia, Philippines and many other destinations. Many people who retire in Thailand still like to see the world and Asia is a very interesting part of the world. Thailand's beaches are some of the most beautiful beaches in the world. 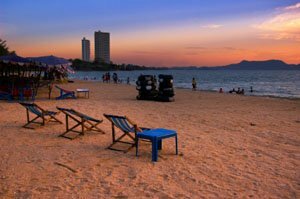 White sandy beaches stretch from Cambodia in the east in the Gulf of Thailand all the way to Bangkok and down south to Malaysia. On the Andaman Sea side of Thailand the beaches stretch from Malaysia in the south up to the north where Thailand borders Burma. Thailand's Government officially encourages foreign investment and business. Even though it is not very easy for a foreigner to own a business, it is a lot easier than many other countries. This can be of importance if you have to semi retire in Thailand and need additional income. Excellent for people who work from home/computers and are not bound to a specific location. If you want to run another business I suggest living in Thailand long enough first. Learn the language and the culture before investing money. When nothing else works anymore Thai people have the -Mai bpen rai- Never Mind attitude. No Problem. This is a great attitude and very stress free. I have seen foreigners not being able to deal with this attitude but this is Thailand and that's how Thai people deal with things. 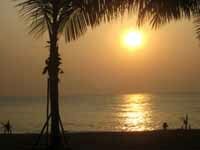 If you want to retire in Thailand adjust to it and live stress free! Sanuk- having fun- is like a national sport. Thai people love to joke and have fun. Phut len or word play is another way of having fun. Every Thai has a nick name too which can be very amusing. One of my friend's nick name is pumpkin, another's is crab, and yet another's is Chicken. Thailand's Islands are an unforgettable experience. Every Island is different and seems to be more beautiful than the other. and many others. Each with their own character and beauty. 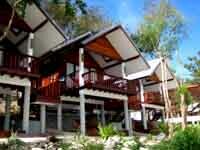 White sandy beaches, bamboo huts or 5 Star accommodation. 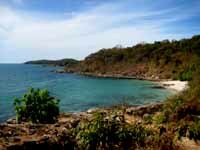 Some people who retire in Thailand move to an Island and live away from the rat race. Thai people must be the most sociable nation on the planet. They are extremely friendly in particular in areas with few tourists. A smile from another person is always replied to with a smile. If they seem unsure about you it is probably because they are shy....a smile usually takes care of it and will be replied with a smile. Thailand has a rich and ancient culture and learning about the culture will help understand Thai people better. Thailand is a safer place to travel and live in compared to many other countries. Most crimes are petty and involve Thai people. In areas like Pattaya common sense will keep you safe. Retire in Thailand but don't get involved in illegal activities, don't show or flash wealth and you will be safer than in most countries. If you hear about crime or violence involving a foreigner it usually always has to do with the foreigner being involved in an illegal activity. - Still working and trying to "last to retirement age"? - Retired - Bored and limited by your income? Make a change before it's too late. Retire to a life. Of course, gusto takes money. Heck, to live decently, it requires decent income even without gusto! After all... Bills don't retire when you do! And while dreams are free, realizing them is not. Decide now if you'd rather find freedom with the internet or with investing in Pattaya real estate.